Cake never been so good! This fully raw plant-based cake pop will surprise more than one. 12 cake pops topped with pistachio, hemp, cacao buter and dark cacao with a very nice centre made from nuts and beets. 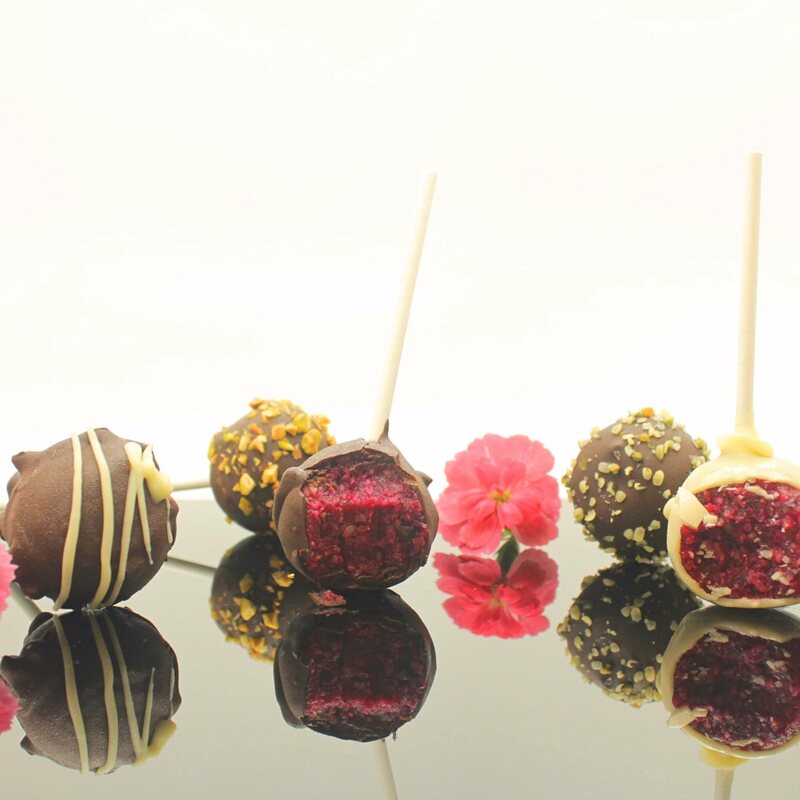 Organic Livity is one of London's premier vegan patisseries. Almond, cashew, coconut, beet, sultana, dates, pure cacao, cacao butter, pistachio, hemp heart.